New research demonstrates RECOVERY FROM AUTISM is possible. It happens. The National Institutes of Health (NIH) agrees. They did a study in January 2013 (1.) More studies are underway. We know as we have sent dozens of TACA families their way. We know health issues plague individuals with autism more than their peers. Kids ARE SICK (2.) Even if they don’t achieve the main goal of recovery, achieving good health and hopefully independence is a good secondary goal. The great news for families living with autism is this single fact: since 2005 more studies on autism have yielded treatment than all previous years combined. Since January 2014, there has been an average of 75 new autism-related studies posted each week. I know because I read them (3.) Even better news: Some of these innovative new treatments can help individuals at ANY age. This statement alone gives me much hope. Any chance I get I always want to scream from the mountain tops: RECOVERY FROM AUTISM IS POSSIBLE. Why? So people will TRY. An autism diagnosis is NOT a game over. It is GAME ON. I am a considered a “long timer” in the autism community. This year marks my 15th anniversary. I wish the TACA tools were around when my son was diagnosed. Many other families do too (4.) Newer families get to benefit from that knowledge. TACA has the tools to make this journey easier. Check out the blueprints (5.) After almost 14 years in the service of helping families and 40,000+ families later, these tools have shown to help many time and time again including RECOVERY for some. What is the goal of looking at autism recovery? Coming up with sub-typing so we can better understand what the common subgroups are, what each group responds to in treatment, and to provide a treatment path for families to follow. Some of the research is now yielding some great results (2.) 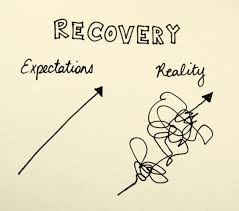 Recovery and the path can be a challenge. But worth it. It’s okay if you don’t want recovery for your child. TACA is an optional free service to families. If you do, we are happy to help you shoot for the highest goal and achieve better health and the best possible outcome available. I appreciate and respect each parent’s choice. 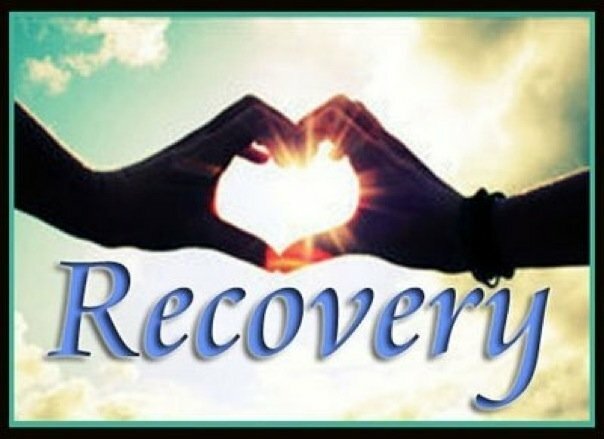 My dream is to share new recovery stories as often as I can. Our website has a list of stories and videos to help inspire others (7.) I will continue to scream RECOVERY from the mountain tops as they arrive. Indeed something to celebrate. RECOVERY is indeed possible! I healed my son and every parent should at least try. Mt son received a diagnosis almost exactly three years ago at 2. I started intense therapy, diets and biomedical treatments with him almost the same week. Today he is a happy, thriving and most importantly VERBAL child. Yes there were obstacles and for two years and 10 months I’ve pushed on to help heal his vaccine damaged body. Every day that he goes a day further from his last onslaught of shots, he improves. I know a diagnosis can be scary, the day I first used the word autism in my head, was hands down the most terrifying of my life. Educate yourself, its your most important and valuable tool. Use the resources available to you online, especially at TACA, you will not be sorry you did. good luck ! I am another parent whose child was diagnosed with autism and who now is doing absolutely wonderfully thanks to early and intense therapy, a clean and pure diet, and homeopathy. My son started showing signs of autism at 14 months of age and continued to go downhill through age two. He is now a happy healthy, and very verbal four year old in mainstream schooling. It’s never too early to start intervention, and, like I always say, it’s a five prong attack sometimes. But recovery can and does happen! I blog over at peaceloveandwellness.com for anyone interested in reading about our journey and what we are doing now to keep our children healthy. Good luck to all the parents out there and please keep the faith!!! Do you have a blog where you can share his story with us?